Hi friends! Ooo my first blog post ever! I’m so excited to share this with you! A few years ago, my mom became allergic to a whole laundry list of items and along with my allergies to peanuts & cow dairy (I’m okay with goat/sheep etc. ), it created a problem when making desserts, in particular for occasions such as Christmas/ Thanksgiving/ Easter Dinner etc. 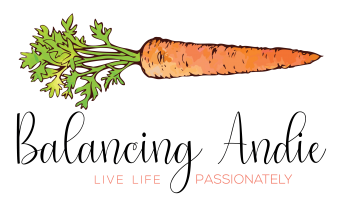 Allergies do not need to be the end of delicious desserts for you or your family and I’m here to show you just that! This recipe is VERY decadent. A little goes a long way. 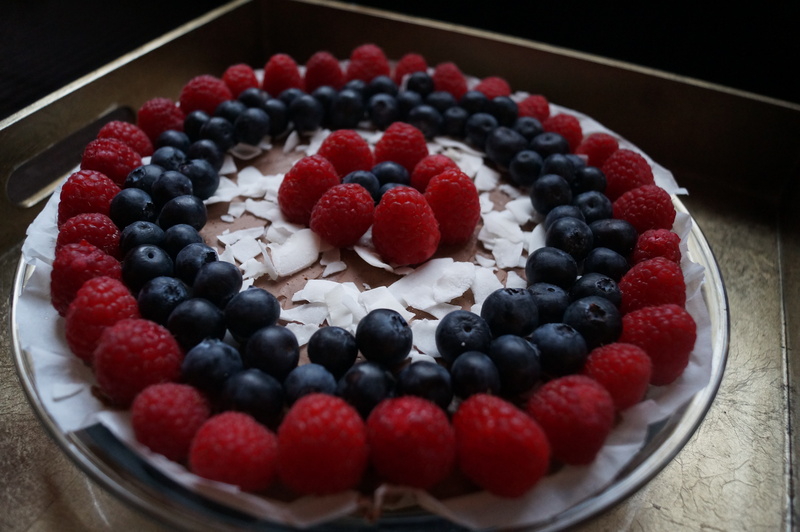 I topped the torte with my coconut whip recipe and it was a hit with all! I love chocolate in, on or with ANYTHING!! In my opinion, it’s the fool proof ingredient. Fruit gets runny and watery but chocolate? It’s always got my back and it’s always my go-to ingredient for desserts that I make for other people. This is a great dessert to make ahead of time and can be adapted to add the toppings of your choosing. No one will ever know it’s healthy! It stays well in the fridge but I’d suggest adding fruit day of and whip when serving only to prolong its fridge life. Top with your favourite things. I used raspberries, blueberries and coconut flakes. Top with my coconut whip and enjoy ! 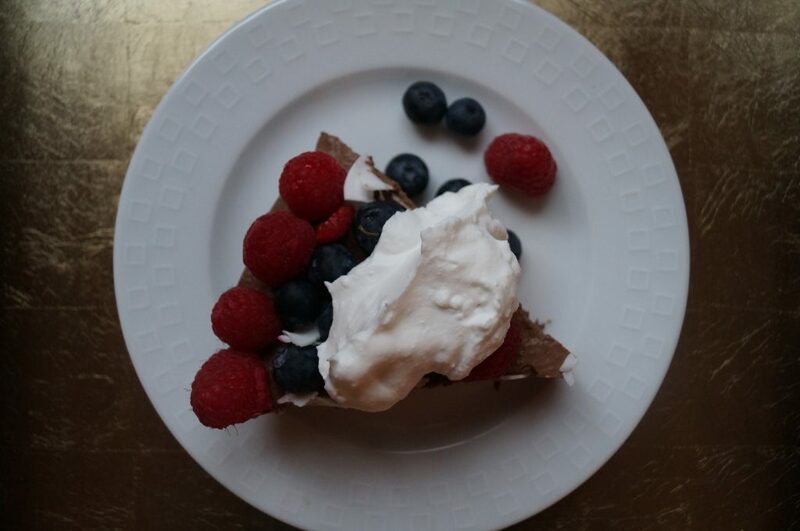 Share a picture of your creation using my recipe on Instagram by tagging @balancingandie so I can see them :). Click here to pin this recipe for future reference or subscribe to my blog to never miss a post! Epitome of a decadent dessert sure to please all! 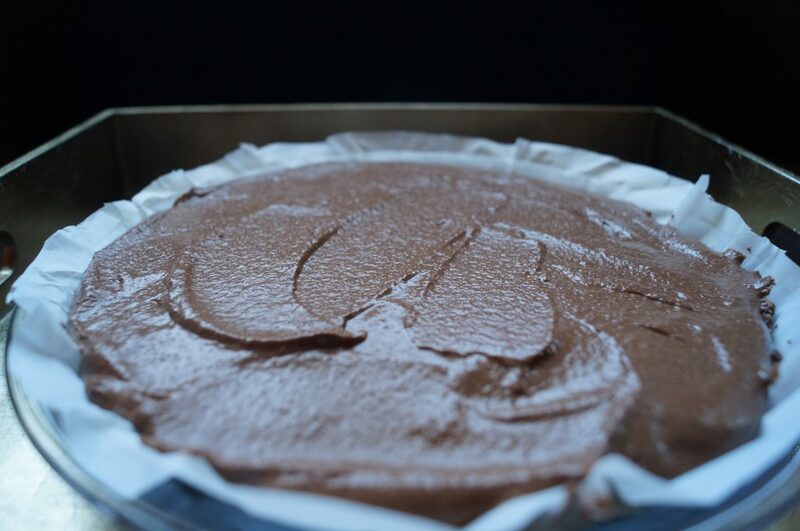 Line your torte/pie dish with parchment paper, which allows for each clean up and clean pieces to be cut when serving. 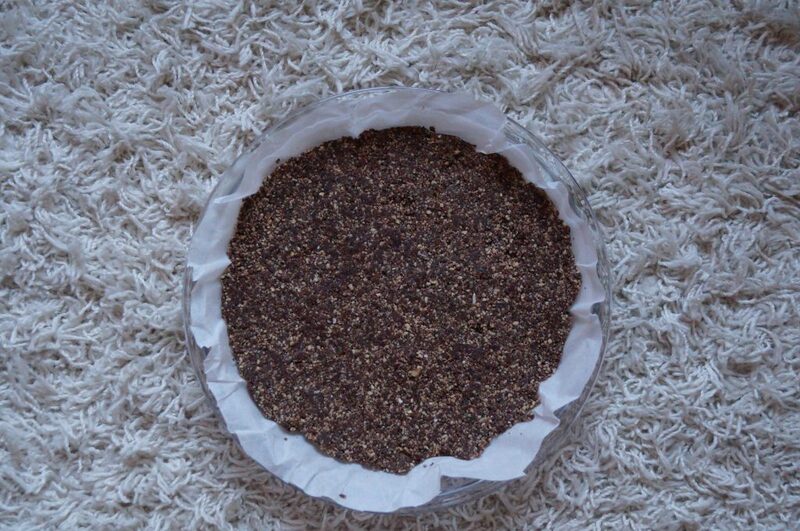 Mix all of the ingredients for the crust in a food processor until it resembles small crumbs. It should be a bit sticky when you pinch between fingers. Add more oil if it’s too crumbly to stick together as a crust. You may need to start and stop the food processor a few times and stir. Spread the mixture evenly in prepared dish and press down to all edges of the dish until it feels solid and even thickness. Refrigerate while preparing the filling. Remove the crust from refrigerator, pour in the filling and refrigerate again for at least 2 hours or up to 1-2 days. 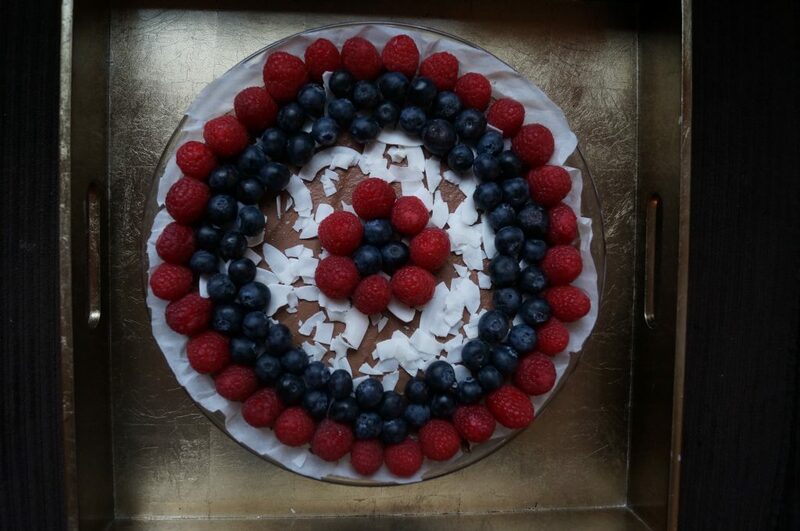 Serve directly from fridge and top with fresh raspberries, blue berries and toasted coconut flakes (optional). This information is provided as an estimate only, based on the ingredients I used and does not include any toppings mentioned above. The below information may change with any substitution you make or variances in brands used.